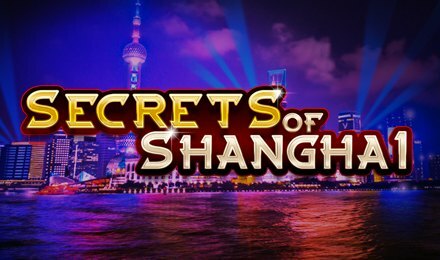 Secrets of Shanghai slots is a 5 reel and 25 paylines slot game themed in the amazing city of Shanghai! You will get to explore and discover amazing riches within the city by this game provided by Section 8. This oriental themed slot game allows you to benefit from wilds, scatters and free spins! So, let’s find out more about the game! On the reels of Secrets of Shanghai slots, you will find a number of symbols landing to form winning combinations. These are: Shanghainese Entertainers, Houses, Temples, Buildings, A, K, Q and J. Like any other online slot games, Secrets of Shanghai slots is a simple game to play! At the bottom of your screen, you will find the controls that allow you to set your betting amounts and the number of paylines. There is also the Autoplay option, which allows you to select a number of games to put to play per spin. Amount of Paylines Selection: Select from 1 to 25 paylines to play on! Coin Values: Set your coin denominations by using the plus or minus buttons in the Total Bet Field. The wild symbol takes form of the Secrets of Shanghai Logo, which substitutes for all symbols bar the Lamp symbol. The Wild symbol is the highest paying symbol, and awards 10x, 50x, 150x, and 750x your payout for 2, 3, 4 or 5 symbols respectively. Scatter takes form of the Lamp, which triggers the bonus round of the game. By landing three, four or five Lamp Scatter symbols anywhere on the reels, the Free Spins Feature is activated. You are awarded 8 free spins. The free spins feature can be retriggered by landing more scatter symbols during the play of the bonus round. Are you ready to go to Asia? Launch this game today at Moon Games Casino and bag up massive wins off rewarding bonus rounds!